How could I miss it? National Respect Your Cat Day should be a national holiday. I’m the guy who for years has been calling cats the Rodney Dangerfield of pets, as historically cats are given up to shelters more often than dogs or sometimes just tossed outside. Likely cats are more often victims of animal abuse, and we know they’re under-medicalized. I am all for cats finally getting the respect they deserve. After all that is why I teamed up with Dan Kramer (back when the company was called Pfizer Animal Health) to create the CATalyst Council in 2008. We wanted to be the CATalyst for change for cats. I’m unsure that we succeeded – but Cat Friendly veterinary practices sure has. 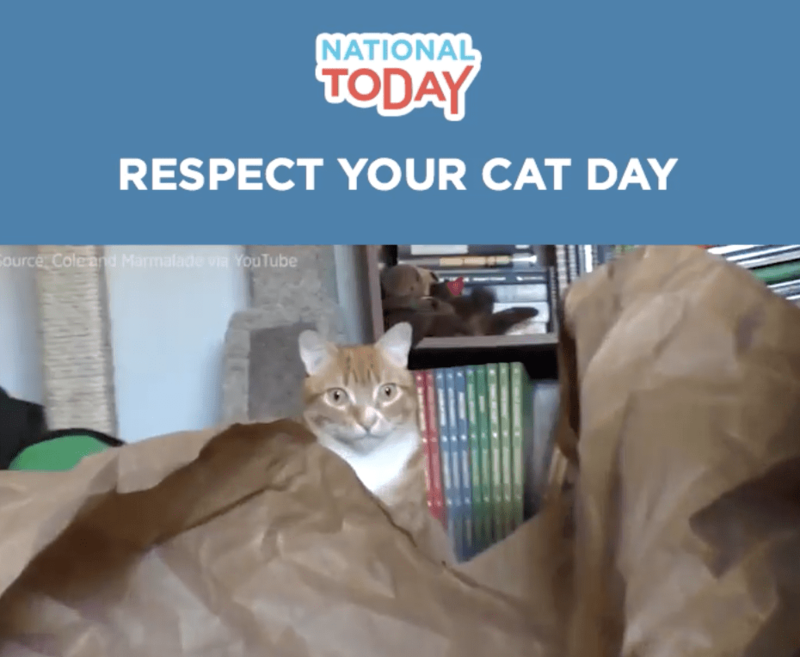 I celebrated National Respect Your Cat Day appropriately enough speaking to a Veterinary Management Group of Feline Practitioners in Orange County, CA. I talked about how millennials are driving an increase in veterinary visits, and especially are changing lives of cats, from adopting them more to creating feline celebrities in social media to checking in at cat cafes to understanding the need for preventive care. 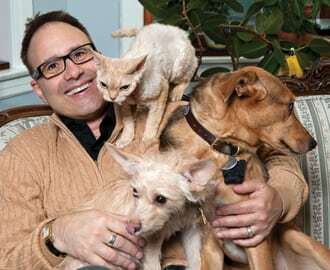 Historically, dogs saw veterinarians for preventive care far more often than their feline cousins, but gradually that’s changing as now there are more resources to guide cat caretakers. For example, here are some tips and tools about traveling with cats. Only 21 percent of millennials are married, while 42 percent of Baby Boomers were married at the same age. Most millennials do have at least one pet and more pets overall than any other demographic. And living in apartments in greater numbers today than previous generations, they are also more likely to specifically have cats or live with combined species, at least one dog and also at least one cat, than Baby Boomers did at that same age. And all of this describes why Cat Friendly Practices and the Fear Free Initiative have happened at exactly the right time. 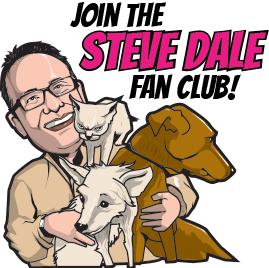 Millennials “get” the human animal bond far more than previous generations, and as a result the emotional well-being of their fur babies matters as much as the physical well-being. Increasingly, young people care about all homeless cats in shelters as well as community cats, supporting efforts like trap-neuter-return. Here are 10 tips to keep cats happy. 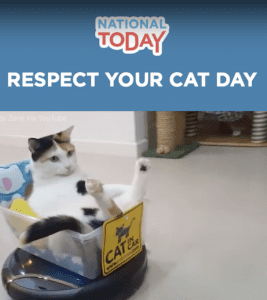 I’m unsure where Respect Your Cat day began, or how it began, but certainly the idea resonates with me – the guy who originally said America’s most popular pet gets no respect.